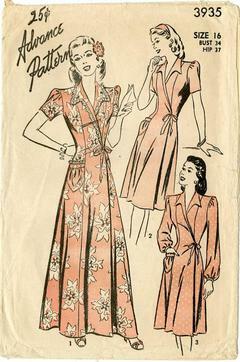 1945 Advance #3935 vintage sewing pattern, misses' Old Hollywood Style long or short front wrap housecoat, day dress, size 16. Unprinted tissue pattern, appears complete. 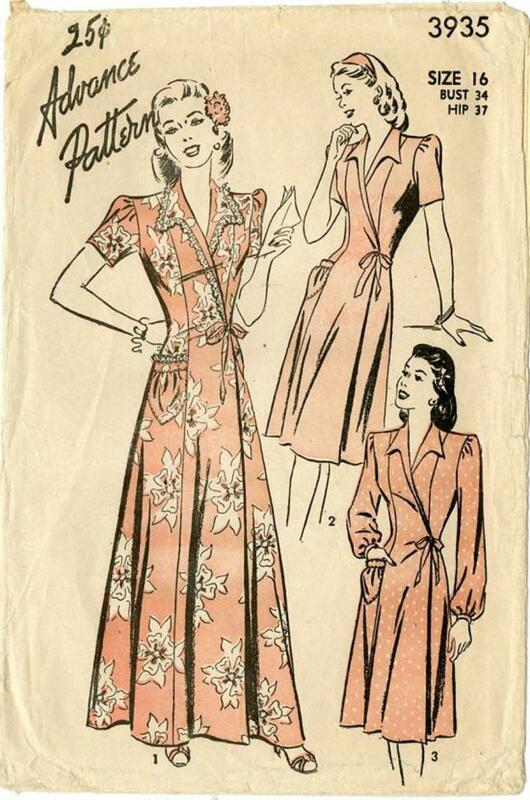 There may be extra pattern pieces included with this pattern. Some pattern pieces may be worn on the edges.